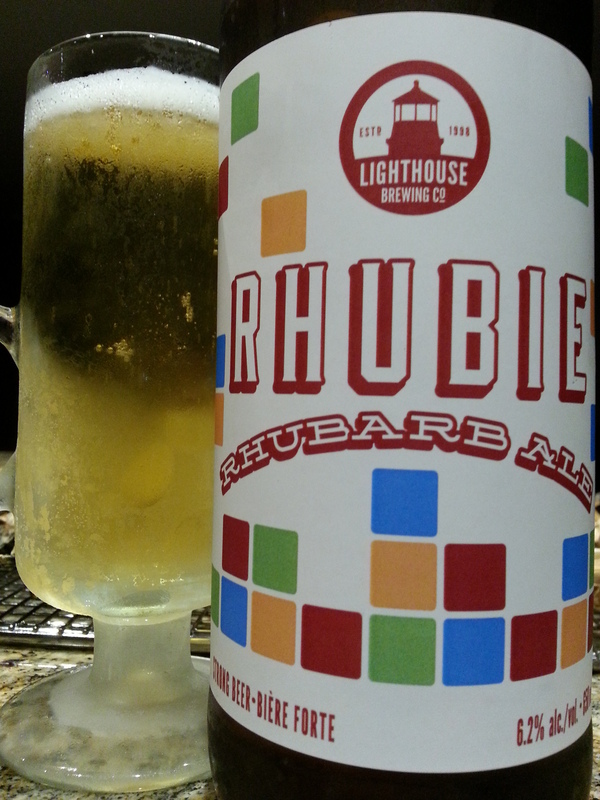 Rhubie Rhubarb Wheat Ale – Lighthouse Brewing Co. (Victoria, BC, Canada) | Justintoxicated. Ohh boy…I would LOVE to try this! I grew up with my gran making Rhubarb desert, and became one of those things I crave…and nobody can make it the way she did..so I am always on a Rhubarb mission ;). it has a clean/tangy/tart/ taste, somewhat like a sour green apple. The rhubarb is definitely in there; I’ll bet you’ll be able to pick it out right away. Hopefully you can find yourself a bottle! I’m half-way round the world from where you are, Africa at this point in time, so it will probably not happen now, but I will keep my eyes open when I am in your part of the world again!! Salud!